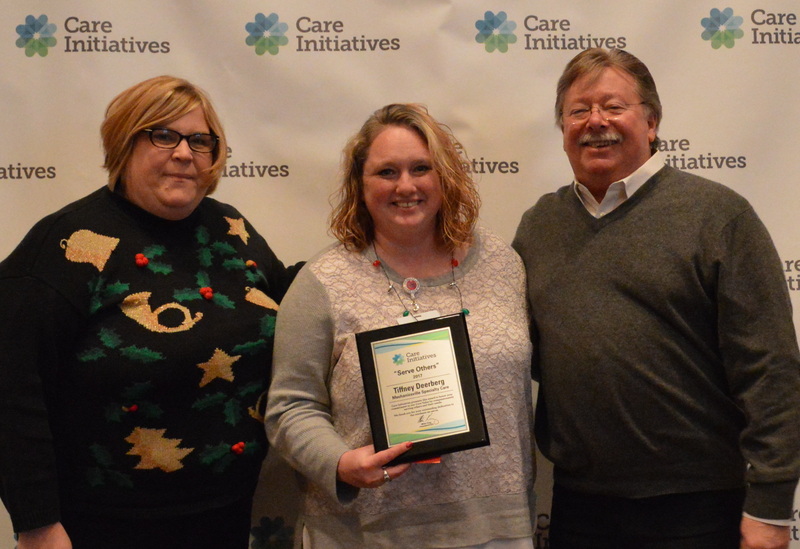 Tiffney Deerberg, certified nurse assistant at Mechanicsville Specialty Care, received the Serve Others Award at Care Initiatives annual awards brunch Friday, Dec. 15 in West Des Moines. The award is given to a Care Initiatives employee who embodies the company’s core value to compassionately serve others and their needs as defined by them. Tiffney has been a CNA for over 15 years, but joined our team just last year. “She truly delivers great care day in and day out to her residents. She understands what it means to take pride in her work and how just the little things impact resident’s lives. You can always hear her striking up a conversation or sharing a laugh with the residents,” says Administrator Tina Wendt. The Serve Others Award is one of six Core Value awards given to a nominated employee throughout our statewide organization of 3,000+ employees.